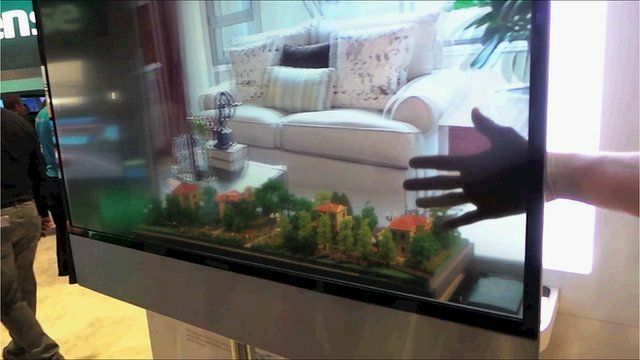 Hands-on with a transparent 3D TV Jump to media player Chinese electronics firm HiSense shows off a transparent television at the Consumer Electronics Show in Las Vegas. Online plants a growth area? Jump to media player Theodore Sean goes through Parrot's Flower Power app, a program and tool that lets gardeners put their plants online. NY fireman introduces 'life saver' app Jump to media player Charismatic former New York fireman Billy O'Connor tells the BBC why he think his company's mobile protection app is vital to stay safe. 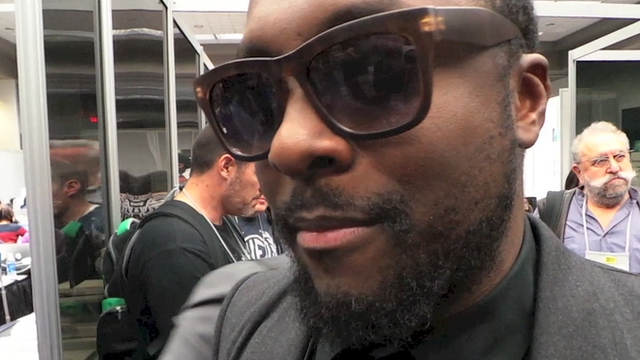 Will.i.am 'excited by what's not there' Jump to media player Musician-turned-tech entrepreneur will.i.am talks to the BBC about what excites him at the 2013 Consumer Electronics Show in Las Vegas. Can 'goo' protect your phone? Jump to media player A firm showcases a "goo-like" material for protecting mobile devices at the Consumer Electronics Show in Las Vegas. Chinese electronics firm HiSense is occupying the space at CES normally reserved for Microsoft. The company is making the most of the Windows-maker's absence by displaying its wares - including this transparent 3D television. The company says it could potentially be used by museums and other attractions to create exciting displays that combine real objects - such as artefacts - with 3D imaging. Hisense spokesman Payton Tyrell said the screen was still a prototype. 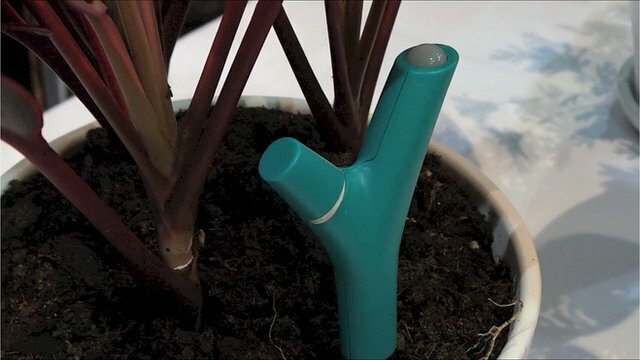 Go to next video: Online plants a growth area?